Looking at data from 188 countries, the University of British Columbia worked with the Institute for Health Metrics and Evaluation (IHME) at the University of Washington to compare health risk factors to air pollution levels from 1990 to 2013. Although air pollution has decreased over the last 20 years in many countries, global levels of dangerous emissions have increased. 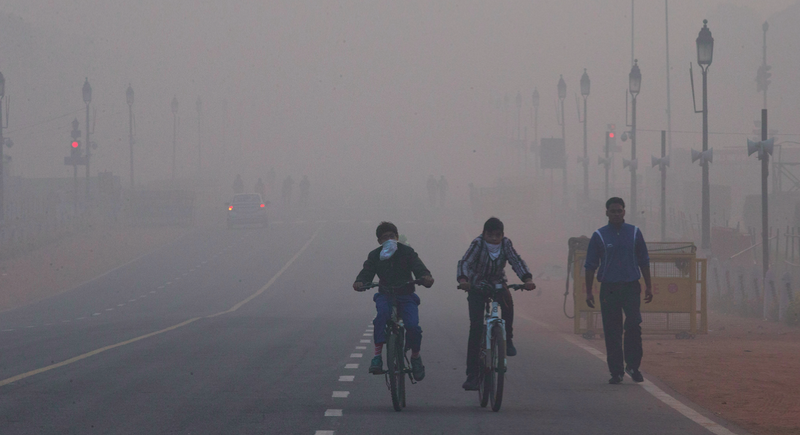 And due to surging population growth and rapid urbanization, especially in places like China and South Asia, now a greater number of the world’s population—85 percent—lives in a place where particulate matter levels exceed the World Health Organization’s healthy guidelines. Although the study emphasizes that air pollution is a global problem, China and India are home to more than half of the estimated deaths: About 1.6 million people died in China and 1.4 million died in India from air quality in 2013.